The beginnings of the early church. The Patristic Period is a vital point in the history of Christianity since it contexturalizes the early Christian information from the time of the death of the last Apostle (John) (which runs roughly about 100 A.D. to the Middle Ages (451 A.D. and the council of Chalcedon). It describes the cohesion between Judaism and Christianity and various theological points being sorted out. 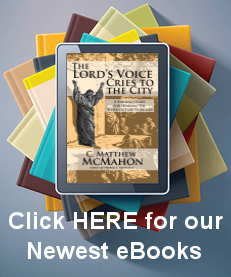 Most denominations find this period of church history vitally important on a similar scale. From Roman Catholicism to the Reformed Churches following Zwingli and Calvin, many basic Christian concepts are birthed during this age, which, for good reason, the church would continue to believe for all time as orthodox over and against all heretical sectaries. During the first two hundred years of this era the church was under persecution from various Roman emperors. It was heightened and at its worse with Diocletian (303 A.D.) who even persecuted his own wife and daughter for being Christians. Christianity became legalized as a religion in the era of Constantine (321 A.D.) which was the opposite side of the spectrum in relation to previous persecution. Various cities and geographical areas became of chief importance. The city of Alexandria emerged as a center of Christian theological education. The city of Antioch also became a leading center of Christian thought. Western North Africa gave birth to such men as Tertullian, Cyprian of Carthage, and Augustine of Hippo. The Patristic period is filled with theological importance on the development of Christian doctrine. Many of the debates of this time are housed in both theological and philosophical issues. Without a helpful understanding of both of these disciplines, the student of historical theology will find the patristic period difficult to comprehend cohesively. This period is characterized by immense doctrinal diversity and the age of “flux.” Many scholars refer to this age when the early church fathers are noted, however, it would be more appropriate to deem them the “early church children” who had begun working out Christian theology. Also, there was a major division in the church in terms of language. The eastern Greek-speaking and the western Latin-speaking church had both political and linguistic barriers to overcome. Origen may be considered a heretic on various theological positions. His exegesis was often dubious and fell into the allegorical interpretation instead of the literal which exposes his many theological errors. However, for now, a notation should be made that many scholars place Origen in both camps: as a key theologian and as a heretic depending upon the issues discussed. Arius (c. 250-336) was the originator of Arianism, a heretical Christological teaching which refused to concede the full divinity of Christ. Little is known of his life, and little has survived of his writings. His views are mainly found in the writings of his adversaries during the controversy (with the exception of a letter to Eusebius of Nicomedia which survived). Apollinarius of Laodicea (c. 310-390) was a vigorous defender of orthodoxy against Arianism, but unfortunately, his view fell into the other extreme. His Christological heresy was an overreaction to Arianism that melded the nature of the Logos as the soul of the person of Christ. His views were criticized and condemned as heresy at the Council of Constantinople in 381 A.D. Theodore of Mopsuestia (c. 350-428) was a leading representative of the Antiochene school, noted especially for his exegetical work. Following Apollinarius, Theodore taught that the Logos assumed a human nature but made this a mix so that the humanity shared in the divinity. He was condemned as a heretic at the Council of Ephesus in 431 A.D. and Constantinople in 553 A.D. Nestorius (died c. 451) was a major representative of the Antiochene school of theology, who became a patriarch of Constantinople in 428. His vigorous emphasis on the humanity of Christ wound him up in denying his divinity. His is one of the greatest heretics of the church in denying the divinity of Christ and making Jesus simply a great teacher anointed by God. He vigorously denied the use of the term theotokos or God bearer as a designation of Mary (an accepted theological term). Pelagius (c. 354) was a British theologian who was active at Rome in the final decade of the fourth, and first decade of the fifth, centuries. No reliable information exists concerning the date of his birth or death. Pelagius was a moral reformer who denied total depravity and embraced free will to the extent that he denied that men are affected by the fall of Adam. This brought him into conflict with the orthodox theologian Augustine. Augustine wrote vigorously against him in his Anti-Pelagian writings, and Pelagius has been known through history as one of the greatest heretics of the church for denying the that the fall was imputed to all of Adam’s progeny. Christian theology, from its inception, appealed to Scripture and was grounded in Scripture. How, though, does one define “Scripture?” The term “canonical” was used to described what would be included in the Scriptures. These are Scriptural-writings that define a limited number that are accepted as God’s Word by the church. For the writers of the New Testament the term “Scriptures” referred mainly to the Old Testament Scriptures. Tertullian declared that alongside of the Old Testament were the evangelicae et apostolicae litterae – evangelical and apostolic writings. Agreement was finally made at a later time as to what books should be included. Athanasius, in 367 A.D., circulated his 39th Festal Letter which included the 27 books of the New Testament Christians have in their Bible today. How did these books come together as authoritative? The principle used is of recognition, not imposition. The church does not create the canon, rather, they acknowledge, conserve and receive it. How does tradition coincide with Scripture? During the early years many doctrines were espoused that seemed to rest on the Scriptures, but were in fact a deviation of Christian truth. In a context where cultic groups were distorting the truth, and appeal to tradition became important. The word “tradition” means “handed down.” Irenaeus called it the regula fide, or rule of faith. This rule of faith was faithfully preserved by the apostolic church, and is found in the Scriptures. Tradition came to mean, then, “a traditional interpretation of Scripture.” In this way, the rule of faith was that which was commonly accepted by the church as one that received the truth of the Scriptures and formulated a statement, creed or confession about those truths (such as the Apostle’s Creed). The English word “creed” comes from the Latin credo meaning “I believe.” Later statements of faith were known as confessions, such as the Westminster Confession of Faith. These are the basics of Christian belief that every Christian should be able to accept and be bound by. A creed differs from a confession in that it is a universal statement of the most simplistic truths of the Christian faith. The Apostle’s Creed is the most familiar creed of the Christian church. It is divided into three sections dealing with God, Jesus Christ and the Holy Spirit. The Nicene Creed is a longer version that highlights material in the relationship between Jesus Christ and the Holy Spirit. The two natures of Christ was also a large controversial subject during the Patristic period. The conclusion was that Jesus Christ was of the same substance of God, described in the term homoousios (of one substance). Two schools had two opinions on this: the Alexandrian School placed emphasis on the divinity of Christ, and the Antiochene school placed an emphasis on the humanity of Christ. The debates surrounded the Arian controversy of determining whether Jesus was God, or a created being. Arius taught that Christ was a created being. The Council of Nicea (c. 325) was convened by Constantine and settled the Arian controversy by affirming that Jesus was homoousios with the Father (i.e. of the same substance). After the controversy over the divinity of Christ was settled, the doctrine of the Trinity naturally came to pass since this was all intertwined. The basic idea behind the Trinity is that there are three persons within the Godhead – Father, Son and Holy Spirit, and that these three are to be regarded as equally divine and of equal status. Athanasius and Basil of Caesarea wrote vigorously on this subject defending orthodoxy. The Eastern Cappadocian fathers (Gregory Nazianzen, Basel and Gregory of Nyssa) also wrote in defending this doctrine. The doctrine of the church (ecclesiology) also rose as an important subject, especially concerning its holiness. The Donatists argued that the church was a body of saints where sinners had no place. This became particularly important when persecution broke out in that the Donatists did not want to allow back into the church defectors who recanted and then recanted of their recantation because of that persecution. The Donatists argued for their exclusion from the church. Augustine, otherwise, stated that the church must remain a mixed body of individuals – saints and sinners. The validity of the churches’ holiness did not depend upon the holiness of the members, but the person of Jesus Christ. The doctrines of grace also came to the forefront in the writings of Augustine over the heresy propagated by Pelagius, a British monk who believed that Adam’s sin did not affect any of his progeny. So forceful was Augustine’s pen against Pelagius that he became known as the “doctor of grace.” Pelagius taught that the resources of salvation were within humanity, where Augustine taught that they were in Christ Jesus alone. The ethos of Pelagianism could be summed up as “salvation by merit,” whereas Augustine taught “salvation by grace,” following Ephesians 2:8-10. The Council of Carthage (c. 418) resolved to uphold the doctrines of grace and condemned Pelagianism in uncompromising terms. Who decides what is an orthodox interpretation of Scripture, and who decides what is not? From its earliest times Christianity was spread through the oral transmission of teaching. This “tradition” indicates the basic elements of Christian truth. Some say that Matthew, Mark and Luke are based on collections of material which were transmistted orally before they were finally set down in writing. Some scholars say that Mark’s Gospel seems to be the source used for Matthew and Luke, retaining about 90% in each of those gospels. There is also material common both to Matthew and Luke that runs about 200 verses in length and is referred to as the “Q” source. There is no evidence that “Q” was a gospel itself, or that it existed as a separate written source. There is material found in Matthew alone called “M”, and material found only in Luke called “L”. Some Gnostic writers believed that a secret oral tradition was handed down through the apostles and that it was found in “veiled” form in the Bible. Only certain people who knew how to read the Bible in “this way” could see and understand it. The church defended the Bible against this position by traditionally interpreting Scripture within the community of faith. This is what tradition has come to mean. Tradition, in this sense, is not an addition of another source along side the Bible, but rather it is the basic teaching of Scripture called the “single-source theory.” Irenaeus argued, in his Against Heresies, that the living Christian community possessed a tradition of interpreting the Scriptures that was denied by heretics. By their historical succession from the apostles, the bishops, pastors and teachers ensure that their congregations remain faithful to their teachings and interpretations. Tertullian also makes this same point where he says that orthodoxy depends upon remaining historically continuous with and theologically dependent upon the apostles. The heretics, in contrast, cannot demonstrate any such continuity. Tertullian says, “if the Lord Jesus Christ sent out the apostles to preach, no preachers other than those which are appointed by Christ are to be received.” He rebukes the heretics saying, “let them unfold the order of their bishops, showing that there is a succession from the beginning, so that the first bishop had as his precursor and predecessor an apostle or some apostolic man who was associated wit the apostles.” Vincent of Lerins finds the “rule” in what has come to be known as the consensus fidelium – “the consensus of the faithful.” By the end of the Patristic period, the idea of interpreting the Bible within the living tradition of the Christian church was seen as an essential antidote to heresy, and had become part of the accepted way of doing theology. The debate on the divinity of Christ was mainly conducted in the eastern church. Augustine, for example, never wrote anything extensive on Christology. It would be the Eastern Church to rival this heresy. Two early viewpoints of a Christological heresy was Ebonitism which regarded Jesus as an ordinary human being, and Doceticism (coming from the Greek work dokeo which means to seem or think) teaching that Jesus only seemed human but was not. Subordinationism also came into play, and was advocated by Origen who taught that the Logos must be regarded as subordinate to the Father. But of all the heretical positions espoused, Arianism was the most comprehensive and the worst. Arius taught that the Father existed before the Son. This places the Father and Son on a different level and why Arius believed the Son was a created being. The Son outranks other created beings, but is created nonetheless. Arius stresses the unknowability of God to creatures, so for him, it is impossible that Christ knew God in any real sense. Arius also said that the Scriptures that “seem” to point to Christ’s divinity really are just “honorific”. They are simply there to elevate Jesus a little more than most men. The term “Son” then, is a metaphor, a term of honor, to underscore the rank of the Son against other creatures. In contrast to Arius, Athanasius wrote vigorously for the truth. Athanasius said if Christ is a creature, then He is a creature just like every other creature no matter how much sugar-coating Arius wants to place on him. Also, no creature could save another creature, which would overthrow salvation in its entirety. But Christians worship and pray to Christ, which would overthrow the commandments if denied. Thus, Athanasius attacked both the theological and practical ideas Arius was attempting to overthrow. The syllogism that was used by the church for so long against Arius (besides the Scriptural authority) was the following: 1) No creature can redeem another creature. 2) According to Arius, Jesus Christ is a creature. 3) Therefore, according to Arius, Jesus Christ cannot redeem humanity. Others have simplified the syllogism this way: 1) Only God can save. 2) Jesus Christ saves. 3) Therefore Jesus Christ is God. The debate, then, came to an end at the Council of Constantinople in c. 381 declaring that Christ “was of the same substance” as the Father. Later, Apollinarius taught that the Logos assumed the human nature of Christ as its soul. This meant that the Logos dwelt in the person of Jesus but was not the person of Jesus. The Logos, in this way, was contaminated by the weakness of the human flesh. The Logos, though, animates the soul and the human mind, but the human nature is incomplete without it. As a result, Christ cannot be said to be totally human. The divine nature assumed the human yet mixed with it. Gregory of Nazianzus fought this heresy in stating that Jesus is both perfect God and perfect human being. If Jesus is only partly human, then salvation would be impossible. In the Antiochene Christological school there arose a problem with a man named Nestorius. In this school the problems were not necessarily theological but moral. They believed that human beings were fallen and in need of redemption. The only person able to redeem humanity was God who was incarnate in Jesus Christ. But a dispute arose over the term theotokos, or God-bearer for Mary. Jesus Christ is God. Mary gave birth to Jesus Christ. Therefore, Mary is the mother of God. Nestorius could not comprehend this in a theologically acceptable manner. He thought, for example, Jesus Christ suffered on the cross. Jesus Christ is God. Therefore God suffered on the cross. This would then place a huge theological problem on the immutability of God, and other issues. By the time Nestorius cam on the scene, the theotokos term was actually accepted in a proper theological context. Nestorius, though, completely separated the humanity and divinity of Christ as a human person and a divine Son. Thus, Christ became schizophrenic. Cyril of Alexandria championed for the truth of the hypostatic union and wrote extensively against Nestorius. Nestorius was condemned officially as a heretic of the church by the Council of Chalcedon. Through the debates surrounding Christology, the doctrine of the Trinity was the next large doctrinal matter to explore. Jesus Christ was seen as being of the same substance of the Father (homoousios). If Jesus Christ were God, though, would that mean there were two Gods – one visible and one invisible? Irenaeus used the term “economy of the Godhead” to distinguish the proper roles between Father, Son and Holy Spirit. There are distinct, but related roles of the Father, Son and Holy Spirit. The doctrine itself is grounded directly in the complex human experience of redemption in Christ, and is concerned with the explanation of this experience. The Eastern Church emphasized the distinct individuality of the three persons, or hypostases of the God head, and stressed that both the Son and the Spirit derived from the Father. The term between the relationship with the Father and the Son is “begotten.” The Western church began with the unity of God and interpreted the relationship between the three in terms of their function. Thus, the Eastern Church’s ideas could be taken as if there were three different agents doing three different things. The Western Church would have seen the work of the Godhead as a unified whole. They pressed the idea that the Godhead is a “community of being” in which each person, while maintaining their distinctive identity, penetrates the others and is penetrated by them. This is called, more technically, perichoresis. Augustine formulated much of the Western Churches’ ideas here and argued, biblically, for the Godhead as seen in Genesis 1:3 – God, the Word, and the Spirit – active in creation. Modalism came into play (a term used of Adolph von Harnack) to describe a Trinitarian heresy associated with Noetus and Praxeas in the second century, and Sabellius in the third century. These writers believed that God revealed Himself in three different ways – like three masks used at different times. The Cappadocians played a pivotal role in establishing the deity of the Holy Spirit over and against the Trinitarian heresies emerging. The Council of Constantinople formally accepted this decision in 381 A.D. The formulae expressed by them and the creed was “one substance (ousia) in three persons (hypostaeis).” The Father is distinguished by fatherhood, the Son by sonship and the Holy Spirit by the ability to sanctify the church. The Father is ingenerate (not being begotten), the Son is begotten (derived from the Father), and the Spirit is being sent or proceeding (spirated). Augustine moved further than these men saying the Holy Spirit is a sort of glue, binding the Father and Son together and is a central part of Augustine’s theology. His work On the Trinity is one of the most helpful works of this era on the distinguishing nature of the Godhead. The Nicene Creed brought a great amount of stability to the doctrine of the Trinity as it was finally formulated. One of the most important issues was the notation made on the Holy Spirit proceeding from the Father and the Son – something commonly accepted and routinely spoken of well into the ninth century. The Western Church used the term filioque which meant that the Holy Spirit had a double procession, from the Father and the Son. This was not accepted by the Eastern Church who attempted to tie the Holy Spirit solely proceeding from the Father. This debate was a large cause of the division between the Eastern Church and the Western Church that occurred in 1054. The Eastern Church used the imagery of the Father speaking the Word, and the breath carrying the Word, both which originate with the Father. They attempted to keep the Father as the sole authority for the Godhead’s being. Augustine, on the other hand, saw the Spirit proceeding from the Son as well – as said in John 20:22 where Christ tells the disciples to “receive the Holy Spirit.” The Council of Lyons attempted to reconcile this by stating that the Holy Spirit proceeds from the Father and the Son, yet not as from two origins but from one and the same together. Under the persecution of Diocletian (284-313) individuals in the Christian church had to make a decision as to whether they would give into an edict addressed in 303 A.D. stating that all Christian books should be burned. Those who handed over their books were called traditores. This was an early form of the worst kind of schism. The Donatists, then, stated that the church must be kept pure from sinners who would deny the faith, and stated an early form of Baptist ideology that says the church should only be made of the regenerate elect. The Donatists went further, though, and said sinners had no place in the church at all. Cyprian began to write on this subject and said that schism is unjustified on any account. Those ministers who enact any kind of schism lose all rights to preach and administer the sacraments in the office of the minister. By passing outside the sphere of the church, they have lost all their authority. Any who were ordained must be seen as invalidly ordained, and any who were baptized must be seen as unbaptized. He argues that there is only one church, and all Christians must be members of that one church stemming from the apostles. Cyprian did say that any pastor who lapses into apostasy and is schismatic, upon repentance, should be set back in the grace of Christ by his fellow brothers. The Donatists, however, would do no such thing. As a result, the Donatists thought that the entire system of the Church had become corrupted because the church was allowing schismatics back into the church after they had apostatized. Augustine refuted them demonstrating that the church is made up of sinners and saints, and that holiness is not something intrinsic in saints, but comes from Christ. Christ, then, affects the holiness of the church, not the saints of the church. The Donatists, then, became schismatic – the very thing they thought they were trying to reject. Augustine demonstrated to the Donatists that every minister must have his authority through Christ, through the apostles, and their successors. Otherwise one partakes of schism. At the beginning of the fifth century one of the greatest heretics of the church emerged – Pelagius. Pelagius is known on the historical scene as a blue-eyed British monk, with the surname of Morgan, who’s fame emerged from Rome in the beginning of the fifth century. He studied the Greek theology, especially that of the Antiochian school, and early showed great zeal for the improvement of himself and of the world. However, he taught deviant doctrinal points on the freedom of the will, the understanding of sin, of grace, and of the grounds for justification. Augustine taught that the will was active under the umbrella of the sovereignty of God. It is active in its own desires, which, before the fall was disposed to either holiness or evil, though it had not been corrupted yet, and after the fall as wholly corrupted and evil in every desire. Pelagius taught that men were not affected by the fall of Adam, but only become sinners after they sin. Pelagius also taught that there was no need for divine grace (in the way Augustine taught) for every command given in the Bible was something that God wanted me to obey, and that demonstrated they could obey it apart form any divine help. It is always possible for human beings to discharge their obligations before both man and God. Humanity, then, is born sinless, and only becomes corrupted by choosing to sin over choosing to do good – two equally possible choices. Grace, for Augustine, was the sovereign mercy of God given to wicked men through the mediation of Jesus Christ and the sanctifying power of the Holy Spirit. For Pelagius it was simply the human ability of reason. Pelagius also said that grace can be seen in the moral commands of God and the moral example of Jesus Christ. Grace simply informs us of what must be done. Humanity, then, is justified on the basis or merit. Augustine taught that justification was based on divine grace that must be placed in us by the power of God. Pelagius rejected this and saw that men must do good before God because the commands of God argue that men have the ability to do what God commands. Augustine, however, as his prayer indicates, did not believe this at all: “God, command what Thou wilt, but grant to us what Thou commandest.” The council of Ephesus condemned Pelagius as a heretic in 431 A.D. for non-Christian views of sin, grace, justification and the freedom of the will. One of the most important questions that the early church worked through was the relationship of Christianity to philosophy. There is no doubt that the apostle Paul met, debated, and preached before philosophers (Acts 17:18). When he spoke on Mars Hill to the Epicurean and Stoic philosophers he built his impromptu sermon around basic beliefs of Stoic philosophy. What he did was appeal to the god whom they followed without knowing who He was, and that Paul was going to reveal this God to them as the Great and All-powerful God of the Universe. Classical philosophy can be seen, then, in some way and to some degree, as preparing the way for the coming of Christian revelation. As a result of the impact of already existing philosophical systems that had some truth to them but were riddled with error, men like Justin Martyr and Clement of Alexandria adopted methods of incorporating philosophical ideas into presentation against various non-Christian views of ultimate reality. Jesus Christ is the divine Logos from which all true wisdom comes. Anything that is good and true in philosophy can be used by the Christian because it represents that which is true and good as truth. Tertullian, on the other hand, wanted to create a dividing wall between philosophy and Christianity since most of what is espoused in philosophy is heresy. Gnosticism is one of many examples which Tertullian used as an example of how philosophy goes awry. (However, some scholars believe that Gnosticism is really anti-intellectual and non-philosophical.) Augustine, championing the use of philosophy, says that there is no reason why a Christian would not want to use what is good about philosophy since all truth is God’s truth. Christian theology should use that which is true in every form since it is true. This methodology was seen at its greatest height in the scholasticism of medieval Christianity, and further reformed by many reformed theologians of the Reformation and Post-Reformation era.